Often there are several composite techniques which will successfully create the desired end product, only with experience and an extensive skill set can the proper technique be applied to the task at hand. Our customers draw upon more than a decade of experience in Carbon by Designs ability to select the correct manufacturing discipline for each program. Large & small format, EMI shielded electronic enclosures utilizing VARTM and trapped rubber processing to ensure repeatability & product quality. 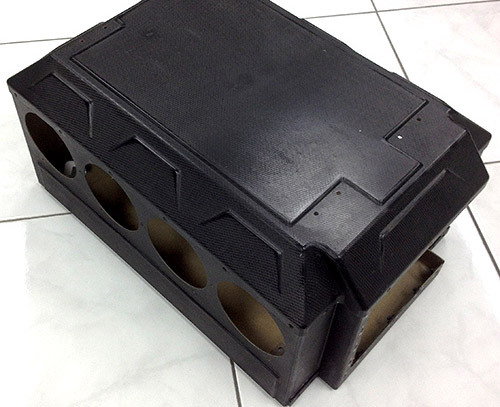 Unmanned Systems manufacturing services utilizing trapped foam, trapped rubber, & net molding techniques to meet design to unit costs. The majority of today's complex composite structures require post cure machining of features and hole locations. We have developed a unique system for molding in simple and complex features into the product at the time of lay-up. Some products feature over 200 integrated features that require no secondary operations. 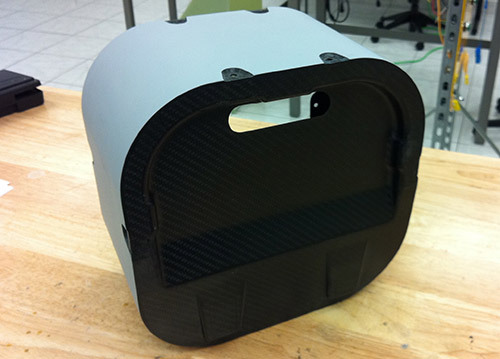 These net cured composites can feature molded-in holes, slots, hardware, SLS components, antennas, and electronics. Unmanned systems production under way in one of Carbon by Design's dedicated manufacturing & assembly labs. In 2019 Carbon by Design moved into a purpose built facility which was specifically suited to the manufacturing of Unmanned Systems and Advanced Composite Structures. We encourage you to pay us a visit and see how the proper facility can make a difference in the manufacturing of your project. 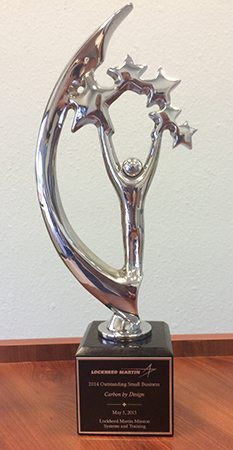 As seen below our organizations composite core competencies are attributable to both weight sensitive and structurally demanding applications. 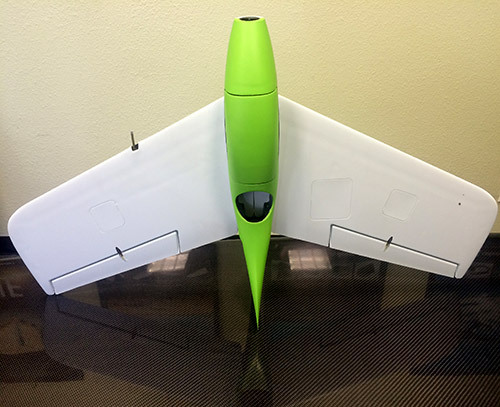 Our vast expertise in unmanned systems and advanced composites is unmatched in the industry. 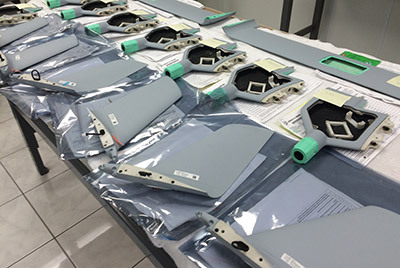 Our engineers and team members draw upon a history which spans more than 20 different unmanned campaigns and tens of thousands of delivered composite structures and assemblies. 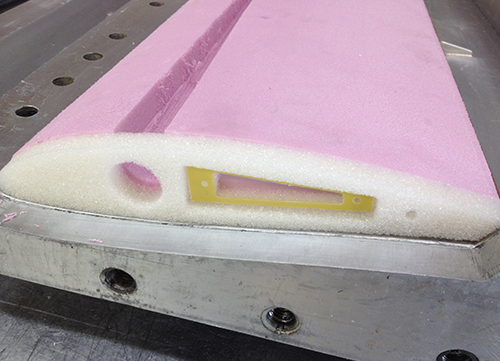 A dual density foam core, as seen during layup, can be utilized to provide additional crush protection to the root section of a wing. This technique is especially useful when wings need to be frangible during landing events. Combining the benefits of net-molding and trapped rubber technologies this composite structure is layed up from continuous fabric, features eight precision molded in holes and two molded in openings.